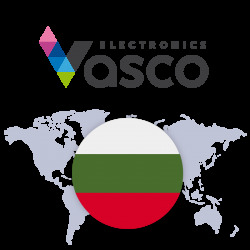 I'm going on a journey to a foreign country / I’m learning a foreign language – For all communication and language enthusiasts we recommend Vasco Translator. With its two-way-translation and conversation mode you will be able to learn new phrases and words as well as break down language barriers with ease abroad. I travel a lot abroad – For globetrotters, we usually recommend a comprehensive solution that adds many useful functions for travelers to our famous voice translator: Vasco Traveler Premium and Vasco Traveler Solid. The latter will also work in the most extreme trips because it is waterproof, dust proof and shockproof. I run a business – Vasco offers comprehensive solutions for business people who place business travel as an integral part of their business functions. If you feel that this statement describes you then it is necessary for you to check the Vasco Traveler Premium Devices. Are you looking for a professional and reliable translation solution that it suitable for travel, work, business and learning languages? All Vasco language translation devices meet your expectations. We focus on innovative solutions and ease of use – because we know how precious your time is. If you need additional information or do not know which of our devices will be the most suitable for you – our specialists in customer service will be very willing to help you.